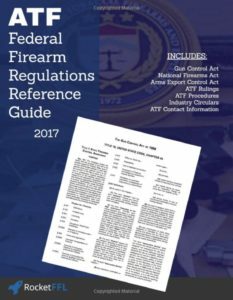 The ATF’s Federal Firearm Regulations Reference Guide (FFRRG) has been updated for 2017! 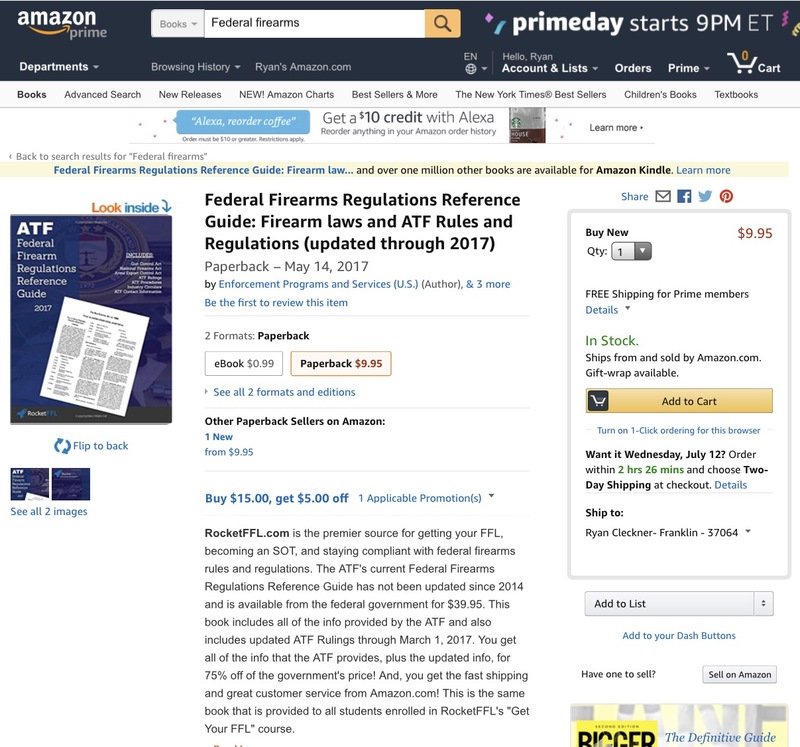 The ATF hasn’t updated the FFRRG since 2014 and if you want to order the outdated copy from the federal government, it’ll cost you $39.95. RocketFFL, the leader in helping you get your FFL and stay compliant and in business once you’ve got your FFL, has updated the FFRRG up to 2017 and offers it for only $19.95 in paperback (50% off the government’s price) and $0.99 for Kindle! We often hear the question, “why should I pay RocketFFL to help me get my FFL license, become a Class 3 dealer, or learn about Firearm Compliance when I can get the basic information from the ATF?” Well, this is just one small example of the services offered by RocketFFL – accurate and up to date information at a great value! The information that can be found elsewhere is often outdated or just plain wrong. We are guns guys and strong supporters of the second amendment. 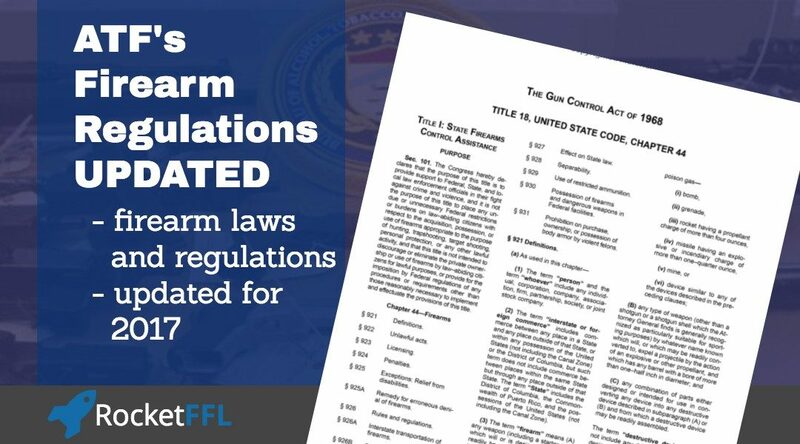 We want everyone who wants an Federal Firearms License to get one and we want every current FFL to know the laws, rules, and regulations so that they can stay out of trouble and stay in business making and selling firearms! If gun dealers get shut down, access to firearms can be limited! This isn’t just bad for our industry, it’s bad for Americans. Our courses are created by an actual firearms attorney and former special operations sniper. We take the initiative to ensure that you’re getting accurate information in the most convenient way possible. We realized that outdated in formation by the government was too expensive so we took it upon ourselves to compile the information, update it to 2017, and offer it for much less than it’s available elsewhere. The RocketFFL 2017 updated FFRRG is available as a free download for anyone who takes RocketFFL’s Get Your FFL and ATF Compliance courses.